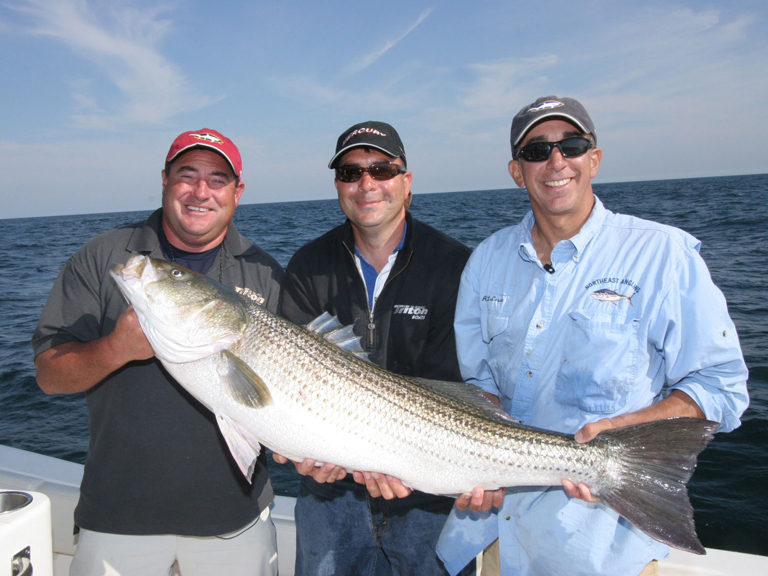 Captains Andy LoCascio and Rich Tenreiro hook up with Capt Dave Chieffo of Block Island Fishing Charters for an incredible day of fishing that included monster stripers on eels and on the troll, as well as an incredible fluke bite in the water around Block Island. This show is a must see for anyone who can travel to Block for just for the day (or a long weekend) or can get their own boat to the island (just s short ride from Montauk, NY or Point Judith, RI). The eel and trolling techniques illustrated in this show can be used anywhere in the northeast! If you have questions about any of the equipment used during the show, please contact us. Click here for our Striped Bass Downrigger Trolling and Striped Bass on Live Eels gear recommendations. Click here for our Light Tackle Fluke gear recommendations. Click here for our recommended Sea Bass Tackle.